If you’ve ever participated in online surveys before, you know that there are plenty of survey sites out there who pay by PayPal, or who offer their survey takers rewards such as Amazon gift cards. But if you prefer receiving payment by cheque, you might find that it’s trickier to find survey providers who offer this payment method. After you sign up with a survey provider and start taking their surveys, you will start accumulating a points or cash balance in your account. After you have earned enough rewards to request a reward, you will often be presented with a few different options for receiving your reward. Certain providers will offer the option of mailing a payment check to you once you’re ready to receive your incentives. Pro – It’s always a nice feeling when you get a cheque in the mail. It’s essentially like getting mailed cash. Con – Cheques take longer to receive than PayPal payments for instance; there is a processing time involved, and you will be dependent on how quickly Canada Post gets the letter to you. Pro – Cashing a cheque at a major Canadian bank is free! When you get paid by PayPal from survey sites, sometimes they will charge a 2% payment fee. Con – The payment cashout minimum for cheques can be higher than other reward options like gift cards. Pro and Con – With certain survey sites like SurveySavvy, you will receive a cheque in US dollars. If you need some extra USD, this is a great way to do it. The downside is that it’s a bit of an extra hassle, and if you don’t have a USD account, and don’t want US cash, you will have to accept whatever exchange rate the bank offers you. Here are a list of survey sites who offer their survey takers payment cheques. Get paid $3 for every online survey you complete. 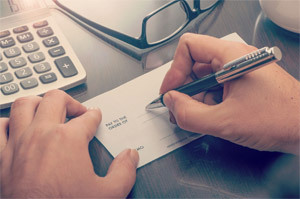 Request a cheque with no minimum balance. Product Testing opportunities are also offered. Once you’ve taken $20 worth of surveys or focus groups, you can request a cheque from this Quebec company. With just 1,000 points ($10), you can request a cheque that will be processed within 48 hours of request. Get paid by cheque whenever you’ve accumulated a balance. Cheques are processed once a month. With $25 in your account from taking surveys and doing product tests, you can request a payment. Get paid by cheque with just $1 in your account. Payments will be issued in US dollars.